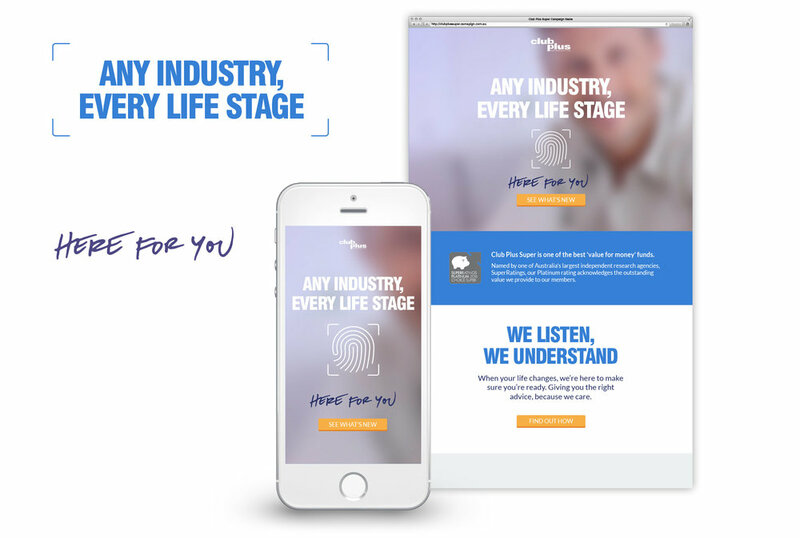 A powerful digital campaign focussed on increasing member awareness and engagement with an Australian industry superannuation brand’s insurance offerings. 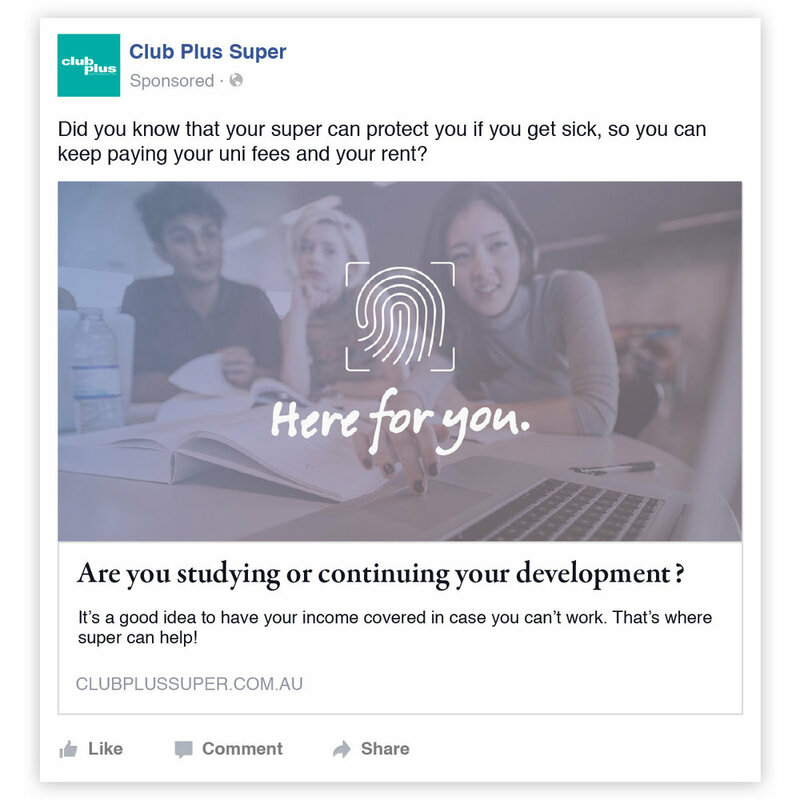 Following the highly successful roll-out of a comprehensive member engagement campaign, Club Plus Super, together with Mind Methods Agency, commenced with the planning and implementation of specific product awareness campaigns. It is a widely publicised fact that Australians are generally underinsured when it comes to life insurance and cover for sickness, injury and loss of income. 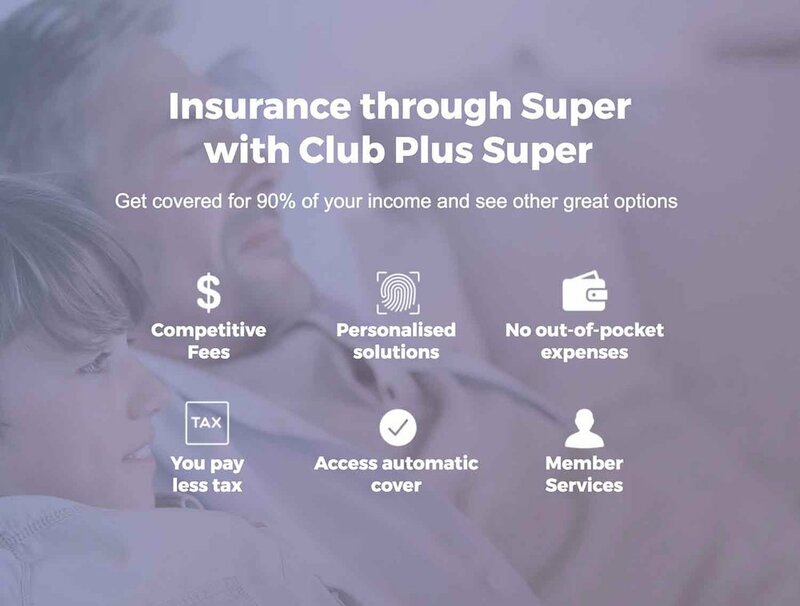 Club Plus Super feel strongly about protecting their members and although their default insurance offering is quite strong relative to the market, they believe that their members could be better protected. Together with Mind Methods Agency, Club Plus Super began analysing their member base to get a better understanding of their levels of cover and the opportunities available to better communicate with and engage them with various important types of insurance cover. An Insurance Awareness Campaign was devised and planned, with the primary objective being to increase overall member awareness of all Club Plus Super insurance offerings through super and their benefits to specific member segments. Another obvious objective was to generate inbound leads from existing members who were ready to discuss and potentially upgrade their cover through super. The target audience for the campaign included all members within six pre-defined segments (based on member age and gender). All campaign messaging, content and product/service benefits were tailored to each target segment. Mind Methods Agency recommended a comprehensive integrated campaign that would incorporate communications activities across digital media including Electronic Direct Mail (EDM), Digital Landing Pages, Social Media Advertising, Search Engine Advertising and Re-marketing..
After developing the campaign strategy and setting the project plan, Mind Methods Agency began with implementation and management, starting with the production of all communication pieces for the digital campaign. Mind Methods Agency delivered a successful awareness campaign, with solid email open rates (between 20-30% in most cases), high landing page visitation numbers and strong social media reach, impressions, and actions taken. The campaign generated warm, product-specific member leads for insurance upgrade, with a total of 482 unique members showing interest by clicking through from an email to a segmented landing page to find out more. Additionally, the campaign delivered a further 437 unique visits to segmented landing pages via a range of Facebook advertisements. In terms of awareness for both Club Plus Super members and their extended social networks, the campaign performed very well, given a modest advertising budget. Social impressions (753,136) and advertisement click-throughs (581 total) were very strong for this medium, as both members and non-members will have been educated about the brand and their insurance offerings through an attractive targeted digital campaign. Over the course of the campaign, the Club Plus Super Official Facebook page also achieved 51 new likes, which was another great result.